A century of aircraft used to save lives and protect freedom will be highlighted at EAA AirVenture Oshkosh 2016, as the world's largest aviation fly-in salutes 100 years of U.S. Coast Guard aviation and celebrates its men, women, and aircraft. EAA AirVenture Oshkosh 2016, the 64th annual Experimental Aircraft Association fly-in convention, will be July 25-31 at Wittman Regional Airport in Oshkosh, Wisconsin. The Coast Guard has designated EAA AirVenture as one of its official aviation centennial events during 2016. "The centennial of Coast Guard aviation allows EAA to focus on a branch of the service that is often underrepresented in many air shows, but should rightly be recognized for its dedicated work to protect our country and save lives every day," said Rick Larsen, EAA's vice president of communities and member programs who coordinate features and attractions at AirVenture. "The Coast Guard operates a diverse fleet of aircraft designed for a wide spectrum of uses, and we hope to bring together as many of these aircraft and people as we can at Oshkosh this year as we salute their service." While the aircraft and events honouring the Coast Guard aviation centennial will take place throughout AirVenture week, many of the activities will be focused on Thursday, July 28. 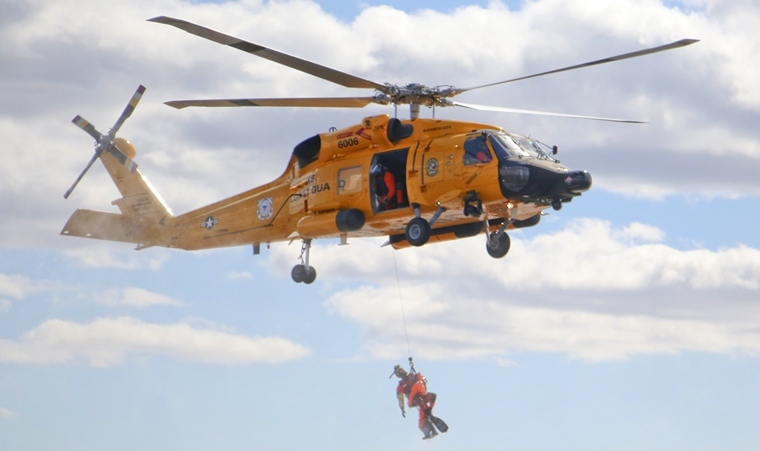 That day's events will include a large contingent of Coast Guard aircraft, both fixed-wing and rotorcraft, with plane-side interviews throughout the day from Coast Guard pilots and aircrews. Some of those aircraft will fly in that day's afternoon air show and specific evening programs will highlight the Coast Guard's contributions to aviation. Some of the Coast Guard's top officers are also expected to participate in the activities at Oshkosh. "EAA AirVenture Oshkosh is one of the nation's preeminent celebrations of flight, and it is a perfect opportunity to showcase 100 years of Coast Guard aviation accomplishments," said Captain Joe Kimball, Chief of Coast Guard Aviation Forces. "We're proud to commemorate our history and achievements in a yearlong series of events, including the induction of the first Coast Guard aircraft into the Smithsonian collection at the Udvar-Hazy Center. Several current fleet aircraft have been painted in historical livery and will be on display at Oshkosh to honour those who have flown 'into the storm' for 100 years." The U.S. Coast Guard was created in 1790 and today is unique among America's five military branches as the only one organized as part of the Department of Homeland Security. More than 38,000 Americans are on active duty and an additional 36,000 are in the reserves or auxiliary within the service. The Coast Guard also operates nearly 200 aircraft along with its 1,700 watercraft along America's coastline, on its inland waterways, and on the open seas around the world.